Suddenly the glen bursts free from its straitjacket of commission spruces into a climbing arena garbed in well-spaced, hand-planted, young Scots pines – the good and the bad of the forestry industry cheek by jowl. You can tell at a glance which one nature prefers and I almost never disagree with nature. Sunlight and snowlight smite you in the same instant and with an almost physical force, like benevolent winds. Waters pour down through mountain walls, churn and foam over falls, gather in the floor of the glen into common cause and head for Callander that lies smoking frostily far below in the middle distance over your shoulder, beyond the shroud of the spruces. All this you drink in greedily like a man demented with thirst, thirst for high, bright, airy, wild places where ravens cavort and cough and chuckle in the blue-white airspace. I am that demented man. It may be early in the year, but the ravens are already stroppily territorial, insufferable neighbours as usual, diving down at the head of a trotting fox on a dead-straight mission with his mate at its far end, roughing up a passing heron (which showed a surprising turn of speed in response), and generally making a spectacular nuisance of themselves. Only I, of all the glen’s creatures that day, was enjoying their presence. There was so much light, what with the sun bouncing off the high snow slopes above about 1500 feet, that the raven flashed glossy shades of inky blue whenever it burst out of shadow, a thing it seemed hell-bent on doing again and again in a series of rapid, turbulent circles. From the lee of the darkest mountainside out into the open glen, each circle was punctuated with hoarse, falsetto guffaws and short upside-down sprints, and swoops and climbs of breathtaking fluidity so that they flowed seamlessly into each other and levelled out again at the same circling height, a frenzy of eye-catching histrionics that was designed to be deliberately eye-catching. What is the point of so much gleeful nonsense? Somewhere nearby was his mate, watching in admiration (hopefully in admiration, otherwise what is the point of so much gleeful nonsense?) 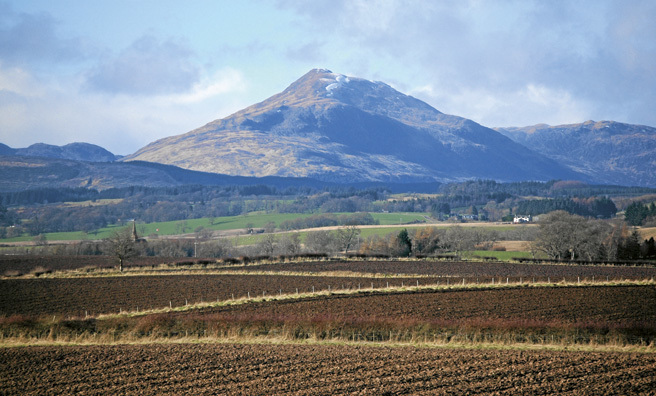 or pointedly fussing over the nest with her back turned, the sub-text of that posture being that it is a fair distance from the corrie headwall to the nearest source of twigs, and further still – this being a commission estate and therefore sheep-free – to find enough wool to provide a lining snug enough to thwart late winter’s blast. And time marches on, and proper spring is waiting in the wings. A kestrel was working the sunlit side of the glen, a trembling spot of copper atwitch on an airy stance, fan-tailed, dipped-in-ink wings working with the wind, head-down hunter. It began to descend by flights of unseen and uneven steps and landings (a pause on every landing), until it was no more than a dozen feet above the tops of the nearest pines, eyes intent on the slightest waver of mountain grass that might mean a vole breaking cover. Ravens do not approve of kestrels in this glen or anywhere else. The circling game that had been drifting in and out of the shadows and in and out of my mind, was suddenly abandoned in pursuit of a higher purpose. With wings half closed, the raven made a missile of itself, aimed it at the kestrel and headed down a shaft of sunlight at speed, the archetypal hun in the sun. It was closing fast when the kestrel crash-dived feet-first into the grass. The raven pulled out a yard above and powered back up the air, back-flipped at the end of its upward curve, completed the 360-degree roll with a second right-way-up flip and dived again. The kestrel saw it coming this time and sped away over the corrie floor, dodging through the pines like a sparrowhawk. The raven abandoned what had suddenly become a pointless pursuit (if indeed it ever had a point in the first place; it is harder with a raven than any other bird to make out the blurred line between pointed aggression and high-jinks-for-the-hell-of-it). It rose again in a long curve that took it back into the shadow of the mountain then straightened out into a shallow climb aimed directly at the nest crag, where it landed and vanished among overhangs, boulders and shadows. A bruise-coloured cloud was bearing down on the glen and the corrie out of the north-west, the unambiguous shade of snow in the offing. It announced itself on a series of icy flurries that soon thickened into draped curtains that hung in grey folds all across the headwall, yet the sun still shone and a species of airy sorcery began to transform the corrie’s highest reaches. I put the binoculars on it just to watch the effect of the snow’s dance among sunbeams, and slowly a snowbow began to arch palely across the whole headwall. It seemed to have proved too much of a temptation for the ravens, for they suddenly appeared together high above the nest crag from where they charged the arch of the snowbow with a black counter-arch of their own. From my unique vantage point it was as if they had set out to burst the multi-coloured arch apart, to put a black breach in it, for there was a moment, as vivid in my mind’s eye now as it was in the flesh, when the two birds, not a yard apart, were a blaze against the bow’s bands of colour, so that it looked for that instant, as if they had broken it in two. But of course they flew on, the snowbow healed at their backs, and they cackled to each other at the impertinence of the wheeze. Once was not enough. They repeated the manoeuvre from different heights and angles five times, and every time they dived down in a curve, and if they were not mimicking the glorious curve of the snowbow I don’t know what else they could possibly have been up to, for each time they flew down, they burst the bow apart as I saw it, but of course the bow would be advancing before them as they flew, so they could not know they were having that effect. But it seems they knew they were mimicking the downward curve of the bow. Mimicry is in the blood. 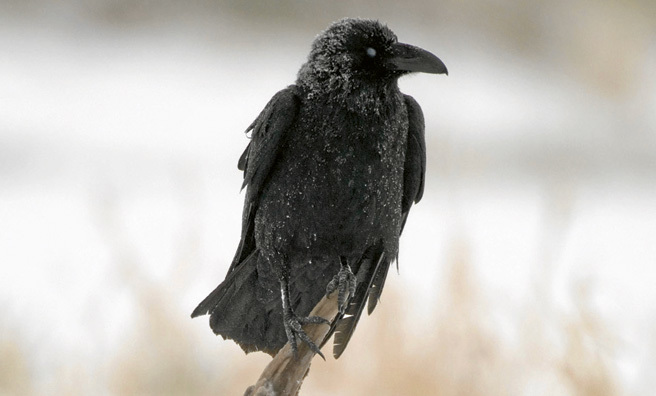 Their vocal range is apparently endless, especially in a winter horde, the so-called “unkindness of ravens”. 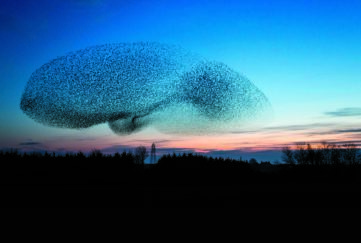 I once met a Canadian university biologist who told me of the work of a colleague with a particular group of ravens. The colleague insisted after years of study that there was no creature other than human beings that had a greater vocabulary. The snowcloud smoored the sunlight, the snowbow withered, faded away to that absolutely untraceable nothing that only tricks of the light can achieve, the flakes thickened and the snow began to reach down into the very depths of the glen. I edged into the lee of a rock to wait out the shower, for already I could see the far edge of the cloud where the sky was pale in the north. I wondered where the ravens went. Then “Kruuk!” said a rock about twenty yards away, and there was a raven sitting on it that was not there seconds before, yet I had not seen it arrive. For perhaps two minutes I watched the snow touch down and melt on the bird’s head and back, for it had turned to face with its beak pointing up into the wind and the direction of the falling flakes, an attitude I had only ever seen once before in whooper swans. The raven held that pose dead still until the snow stopped, and the irresistible conclusion was that it was enjoying the effect. As the snow relented and the sun resumed, it shook itself like one emerging from a trance, scattering melted snow in droplets in a wide circle, croaked a second croak, leaned out into the wind on wide wings and lifted off into a low, slow glide like a hunting eagle, then curved out towards the middle of the glen again and surged forward into a shallow climb back up towards the nest crag and at once it was joined in the air by the second raven. For those two minutes I must have had two ravens perched within a few yards of where I sheltered, but I had not seen the first one arrive and I never knew the other one had been there at all. There are salutary lessons at your disposal every time you go out into nature’s company. This is a glen I know as well as I know anywhere. I know what to expect when I get there, and every time I leave again, what I take away with me is the lesson offered by what I did not expect. There is an intimacy at work between those creatures that live here through every hour of the day and night and every season of the year. 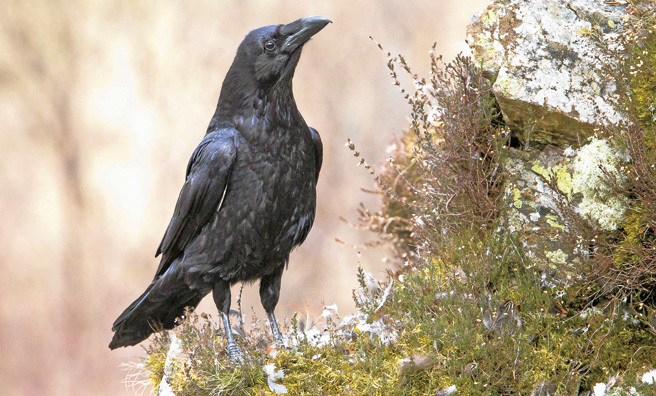 In addition to the knowledge of the place that I have accumulated over the years, I also know this – that it is does not amount to a thousandth part of the knowledge that lives on in the bird-brain of a raven. If I lived to be a hundred and I was still capable of walking up here, it would never once have occurred to me to play a game with a snowbow. But my mind was bright and crackling with vivid images as I headed back downhill into the valley of the shadow of the spruces. An unkindness of ravens… whoever thought that one up was an idiot. 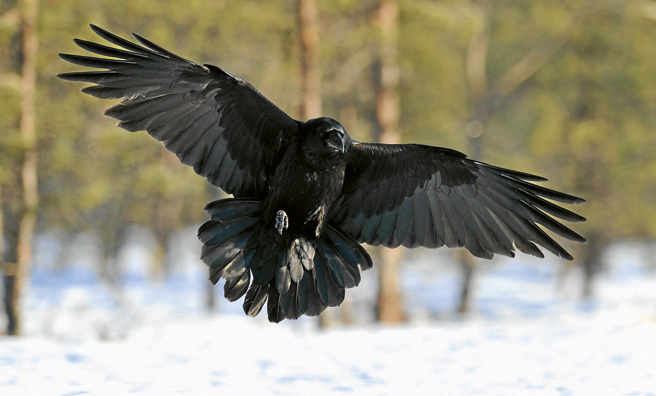 Ravens are the largest bird of the crow family. They have a lifespan of around 17 years. Ravens are extremely intelligent and can imitate human speech better than parrots. 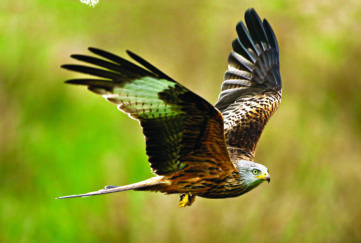 7,400 breeding pairs in the UK.